While mobile or portable electronic entertainment is great, there's always something to be said for entertainment that doesn't require recharging every single night. We can all agree that books are great -- well, some of us can, at any rate -- but while they're capable of stoking our imaginations, they don't do much for the part of us that craves direct visual cues. Fortunately comic books are still very much a thing, and now Nintendo Switch players have a new series of graphic novels to look forward to that will bridge the gap between their enthusiasm for reading and their enthusiasm for Nintendo IP. As revealed by publisher Dark Horse over on the company's official website, a new partership between Nintendo and Dark Horse aims to produce a series of graphic novels based on popular Switch brawling title Arms. 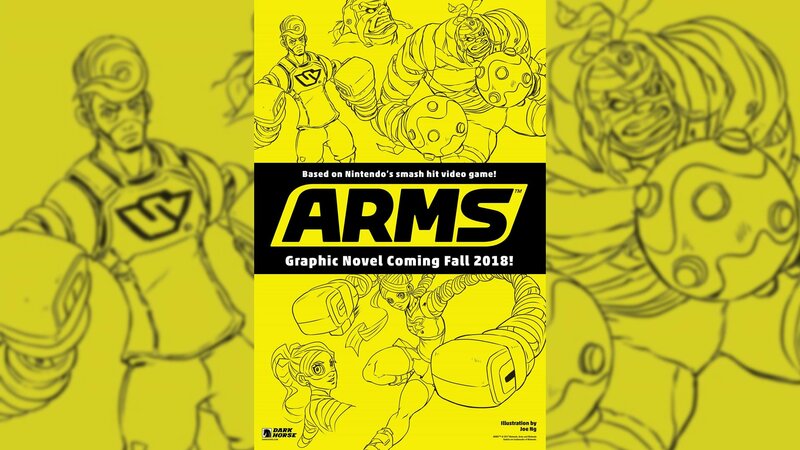 No other details regarding the content of the graphic novel have been given, but Nintendo fans and comic readers alike can likely expect to learn more details about Arms' history and colorful cast of characters. The Arms collaboration isn't the first time that Nintendo and Dark Horse have gotten together on a new project. The excellent book titled The Legend of Zelda: Hyrule Historia was a joint effort between the two companies, and Nintendo and Dark Horse have also gotten together to produce two different video game art books: The Art of Fire Emblem Awakening and The Art of Splatoon. So far, it seems like the upcoming Arms graphic novel will be a true-to-form graphic novel as opposed to a collection of art and history. If this is true, the upcoming Arms graphic novel may provide added tie-in details to an effect we haven't seen since Antony Johnston and Ben Templesmith's 2008 Dead Space tie-in. In any case, we should have to wait too long to see what the company has in store, as Dark Horse's first Arms graphic novel is slated to debut sometime next year. Stave off the time before Dark Horse releases the new Arms graphic novel by scoping out some of the great Switch titles we've featured on our list of the Best Nintendo Switch Games.